While the 2005-2006 Pontiac GTO is in my opinion a masterful car, one area that it does tend to fall short in is its weight distribution. Typically any grand touring coupe will suffer a bit from a heavy front end. To that end the GTO is not horrendous, however, coming in with a distribution of 55% front to 45% rear leaves a lot of room for improvement. Unfortunately most weight reduction avenues tend to be quite expensive. From fiberglass panels to a lightweight suspension, these items can really ring up the register. Luckily though, there’s a handful of affordable options at our disposal. One of those is BMR’s aluminum front skid plate. Here’s the OEM skid plate. It’s big, heavy, and does it’s job really well. Once removed it’s always nice to give your engine a nice cleaning. The GTO arrives from the factory with a very solid steel skid plate. Given the car’s low slung nature a skid plate is a must to protect the oil pan. 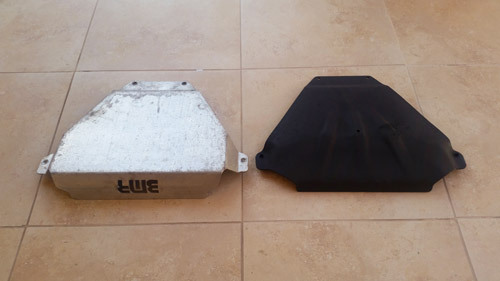 Moreover, the plate is large enough that it blocks out the majority of dirt and grime from entering the engine compartment. You might ask why they don’t use a plastic cover instead of steel. Simply stated plastic skid plates/guards/protectors/etc. and nothing short of worthless. Every time you see a Volkswagen driving down the road dragging its plastic guard across the asphalt just remember that if it had been steel, it wouldn’t have broken to begin with. While not terribly expensive (a new BMR skid plate comes in at around $100, slightly more if you want it powder coated). I was able to pick one up used for $70. Not a huge savings, but $30 is nothing to sneeze at. The plate I picked up is a bit dirty and the aluminum shows signs of normal wear, but my GTO is not a show car so it just needs to do its job. The important part is that it weighs 5 lbs., significantly lighter than the stock skid plate’s 15 lbs. A 66% reduction in weight. Sure 10 lbs. doesn’t seem like much but in a world where a 10 lbs. lighter rim can cost thousands more this is a pretty good deal. She’s a bit used, but it’ll get the job done. Here is the OEM and BMR piece side-by-side. The OEM tips the scale at around 15 pounds. 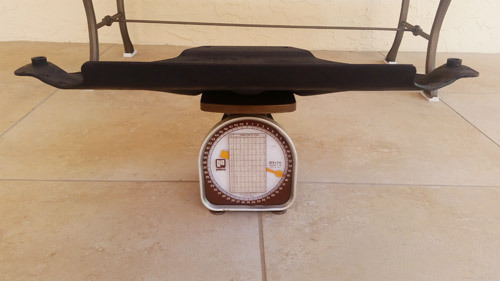 The BMR piece shaves 10 pounds and comes in at 5 pounds. I won’t go into detail on the installation. It’s four bolts. If you own a GTO you have to remove the skid plate every time you do an oil change anyway, so there should be no surprises. Coincidentally, that is a nice added benefit of the BMR piece. I’m not one to complain but balancing 5lbs. with one hand while you try to thread a bolt with the other hand is far easier than balancing 15 lbs. Close up of the OEM weight. That’s a 66% weight reduction! Considering you’ll have to do it 3-4 times a year, that should put a smile on your face. 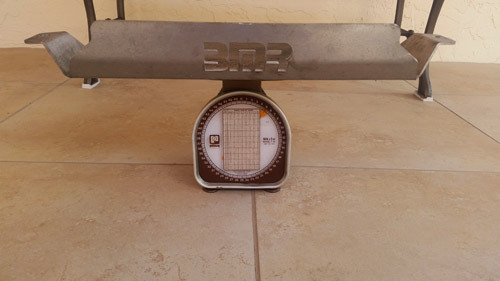 From an aesthetic standpoint the BMR piece is spectacular. Far more pleasing to the eye and the cutout logo looks great. These are the only tools needed to install the BMR plate. This product is about as close to a must have for a GTO as you can get. The cost, construction, material and appearance are all clear upgrades. There’s really no reason why you shouldn’t get it. On top of all that the installation might be the simplest thing you’ll ever do to your GTO. Go out and get one! 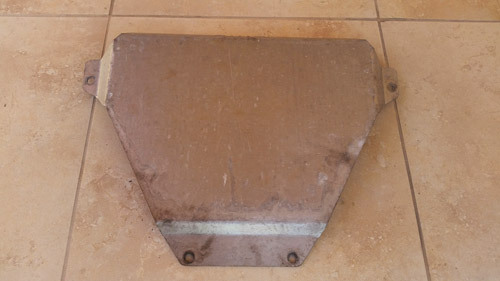 Looking for a BMR Skid Plate on Ebay? Click here!